To keep our party for Big Brother simple, the only thing I actually made was his special-request "dino hat." I think he liked it, since he hardly wanted to take it off! It was pretty simple to make and very cheap. 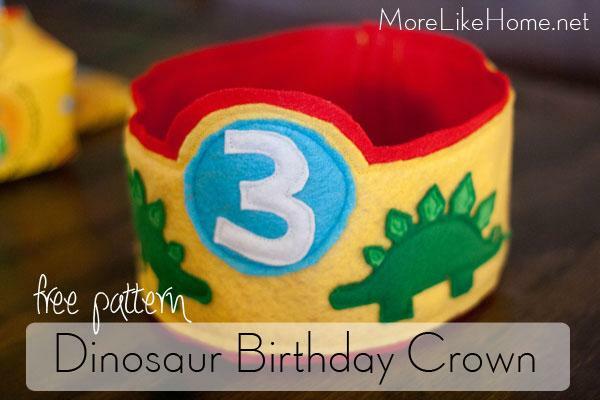 I have a free pattern for anyone else who needs a dinosaur birthday crown for a little birthday boy! Ready to get started? Get directions and the pattern on the blog!